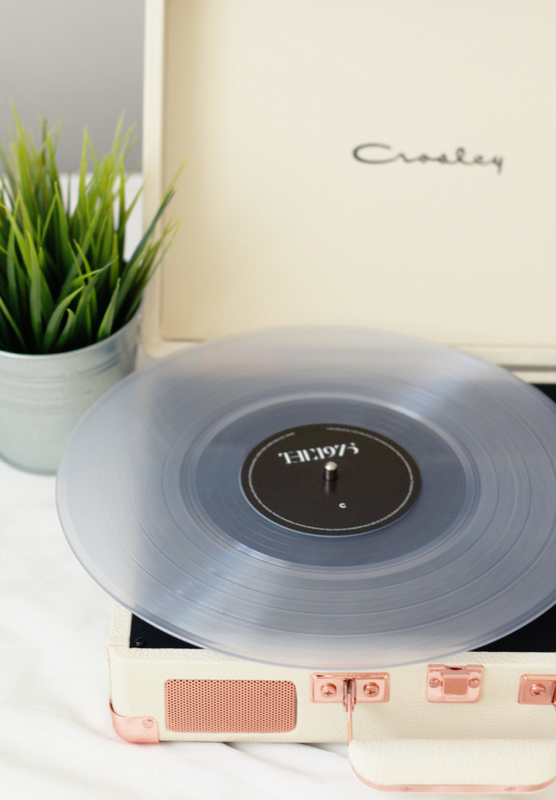 Say hello to the Crosley Rose Gold Record Player. I got this beauty for my birthday, as I thought it’d make a great addition to my room and also because I’m a huge music lover. 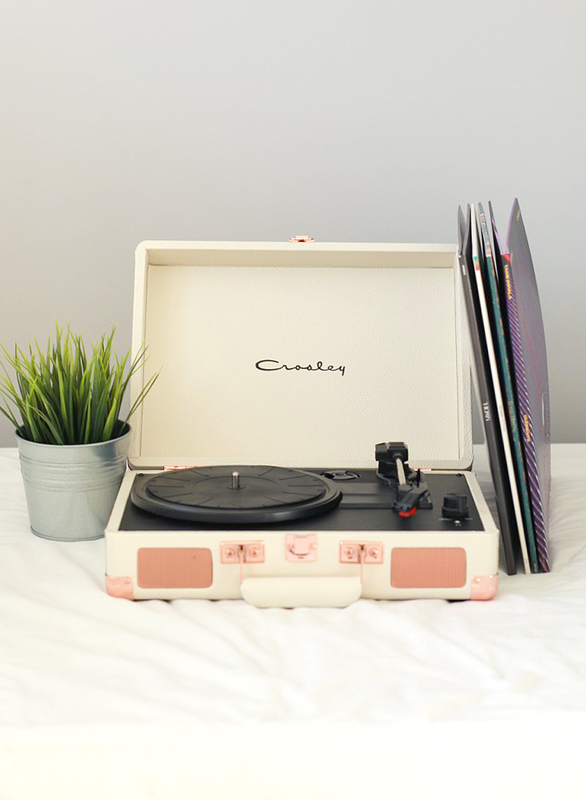 I opted for one of the Crosley record players because of how ascetically pleasing they look. I have heard people talking about how they scratch records, but who knows, I’m sure I’ll find out sooner or later. The sound quality is really great in my opinion, and its so easy to use. I must admit, I had no idea what I was doing at first but I’ve got the hang of it now haha. You can also play music from your phone off this as it has an aux cord, so its quite versatile. Not much else to say about this other than its just gorgeous haha. Now onto my mini album collection. I don’t have a crazy amount yet, but I’m collecting. I received three of these for my birthday and the other one I purchased myself. Soo lets start with my favourite first. 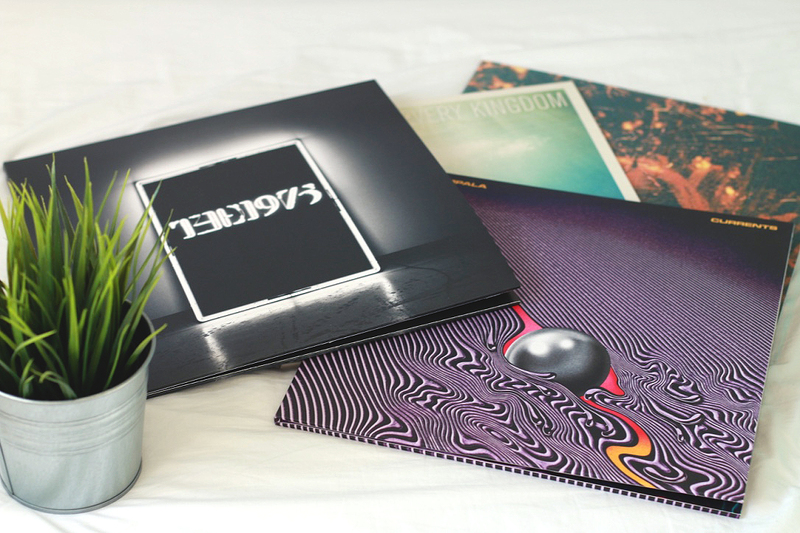 The 1975’s first album. I flipping love this album and will honestly never get bored of it. The vinyl itself is almost transparent which is pretty damn cool if you ask me. There’s two records, with an A and B side and C and D side. Which was something else I had to learn about, they have sides haha. Favourite song from this album is probably Robbers. Second favourite album has to be Currents by Tame Impala. Tame Impala are quite new to me, but a few months ago when I discovered this album I was hooked. This also comes with two records, and is full of incredible tunes. If you’re into your indie/alternative music this is an album for you. Favourite song from this album has to be The Less I Know The Better. The final two are Every Kingdom by Ben Howard and Peripheral Vision by Turnover. I’ve loved Ben Howard’s album Every Kingdom for a very long time and it almost feels special to have it on vinyl. My favourite song from this album will always be Only Love. Everything about that song is beautiful, I’d really recommend you give it a listen. Last but by no means least is Turnover’s album, Peripheral Vision. I don’t know how popular Turnover are, but I discovered them about a year ago now. Again, they’re your indie/alternative band with a very chilled vibe going on. My favourite song from this album is Diazepam. I love all the album’s I own and they look so pretty with their artwork displayed.